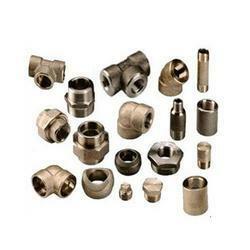 We are recognized as the most prominent manufacturer and exporter of Tube Fittings. Several leading industries trust our product range due to their unmatched quality and unbeatable performance. 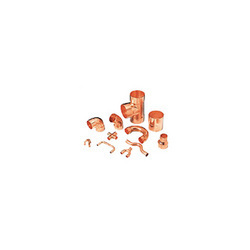 Our customers are facilitated with the quick delivery of the tube fittings that too at very pocket friendly prices. 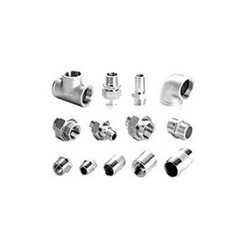 The range of tube fittings offered by us includes: Stainless steel tube fittings, Nickel alloy tube fittings, Inconel tube fittings, Hastelloy tube fittings, Duplex steel tube fittings, alloy 20 tube fittings, Cupro nickel tube fittings and Titanium tube fittings. 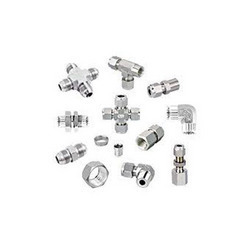 We bring forth our clients a wide range of highly qualitative Stainless Steel Tube Fittings. Our range is used for industrial as well as commercial purposes. 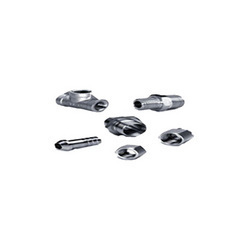 These tube fittings are designed as such to provide support to the bends and curves. We offer these products in a variety of sizes and shapes that can be customized as per the client’s requirement. Our range is known for its high endurance, corrosion resistant and low maintenance cost. The Nickel Alloy Tube Fittings exported and supplied by our company is backed up with cutting edge technology and is fabricated with quality raw material to ensure its durability and reliability. These products are recognized for the safety and utility reasons. Our range is available in a number of shapes and sizes to suit the client’s need. We also offer customization facilities to fulfill the requirements of the client. Our company is engaged in supplying a wide collection of Hastelloy Tube Fittings which are mainly used for application in chemical processing, pollution control, power, marine, waste disposal and paper processing industries. We conduct stringent quality procedures to provide maximum satisfaction to the customers. In addition to this, we offer customization facilities to cater to he needs of our esteemed customers. We are one of the prominent names in the exporting and supplying of Duplex Steel Tube Fittings that are fabricated using the premium quality material, procured from reliable vendors. These duplex steel tube fittings offer high durability, strength and corrosion resistance. Our range of Duplex steel tube fittings are widely used in industries like construction, railways, automotive, and many more. We also customize our range as per the specifications and requirements of the customers. 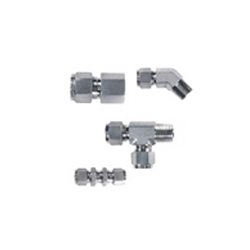 OD - 1/8" (3.18 mm) to 1-1/2" (38.1mm) Wall - .016" (4 mm) to .065" (1.65 mm). The Cupro Nickel Tubes Fittings are exported by us are widely known for their high strength, crack resistance, rust proof and durability. 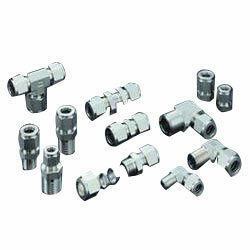 Cupro nickel tube fittings are perfectly engineered and comply with the industrial norms. Our products are known for their dimensional accuracy, sturdy construction, corrosion resistance and reliable service. We provide customized product range as per the client’s demand. Avail from us a comprehensive array of precisely engineered Inconel Tube Fittings that are widely acclaimed for the durability and reliability. Our product range conforms to the stringent International standards. These products are simple to install, corrosion resistant, abrasive to chemicals and high temperature. Our range caters to the requirements of several industries, and is offered in standard & customized specifications. We export a wide assortment of Titanium Tube Fittings that are suitable for applications like static and rotating gas turbine engine components. 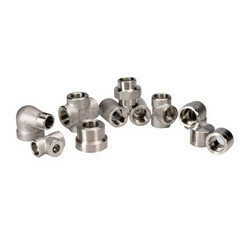 These titanium tube fittings are fabricated with precision using best grade raw materials. Our product range is dimensionally accurate, highly durable and is anti-corrosive. These products are offered by us in a variety of sizes and can also be customized as per the requirements of clients.